When I see it in the night sky, it’s hard to believe it’s not the light, but it isn’t. After the sun, the moon is the brightest object in the sky. At certain times during the month, it provides enough light for people and animals to walk in the middle of the darkest night without stumbling. The moon’s brightness is due to its close proximity to earth and also to the sun’s blazing energy. But the moon isn’t a sun or star. Rather it’s just one big mirror reflecting the sun’s light from the earth’s other side. John the Baptist-Jesus’ forerunner, was well aware he was only a giant reflection of the true light-Jesus. John himself was not the light; he was simply a witness to tell about the light (John 1:8 NLT). As the sun is the source of the moon’s visibility, so God is the source of the light I radiate. I have no inherent light but merely reflect what Someone else shines on me. If I ever think I’m the source of the light, my light will quickly diminish or radiate false impressions like a cracked mirror. God’s light reflected in me also helps me travel life’s pathways. Life is tough. Left to myself, I’ll make a mess every time. God’s light-through his Spirit’s presence, provides the wisdom I need to make sensible decisions that lead to prudent actions. But my primary responsibility is to reflect God’s love to others. John wasn’t Jesus, but he directed others to him. I’m not Jesus either, but I am responsible for accurately reflecting him to my friends, family, co-workers, and other casual acquaintances. The sun does an excellent job of giving an undistorted reflection of the moon. Let God’s reflection accurately bounce off you to others. Prayer: Thank You Father for the awesome privilege of reflecting Your love to others. Enhance Your light in our lives that they might see You precisely through us. 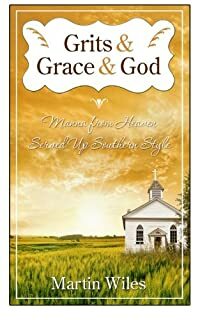 Get your copy of my newest book from Lighthouse Publishing of the Carolinas. Now available at Amazon. Thank you. Your blog is quite clear. Very nice to read it. "I'm not Jesus. No, but I am responsible for accurately reflecting him to my friends, family. "